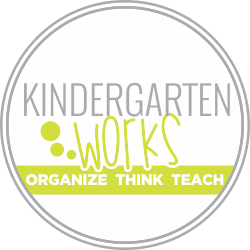 Make a sweet Mother’s Day present with your kindergartners. 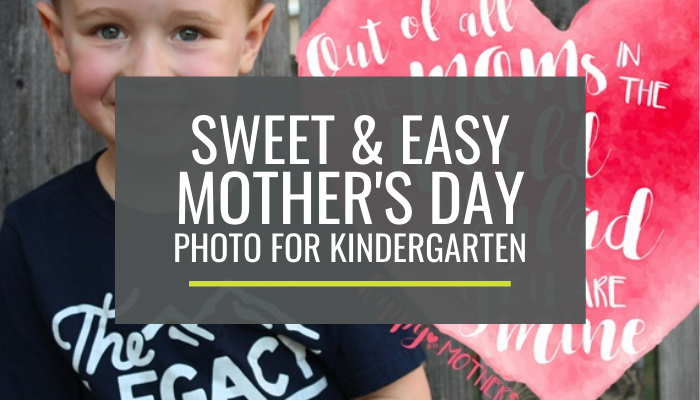 This free photo overlay will be a cherished Mother’s Day kindergarten gift. 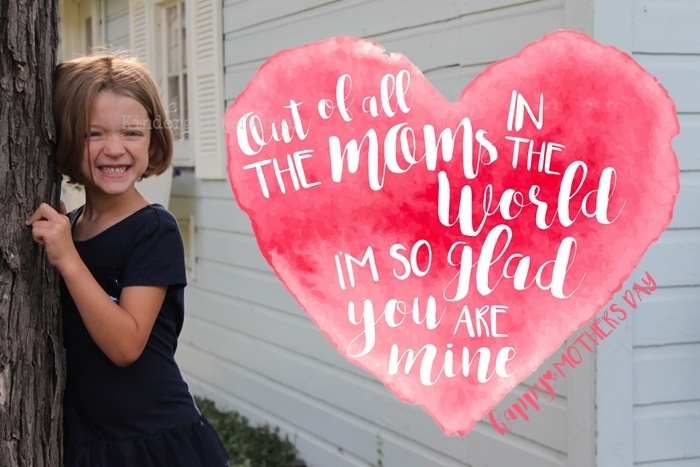 With spring in the air and the end of the year around the corner – it’s time to put together a quick Mother’s Day gift for kindergartners to give to their mamas. 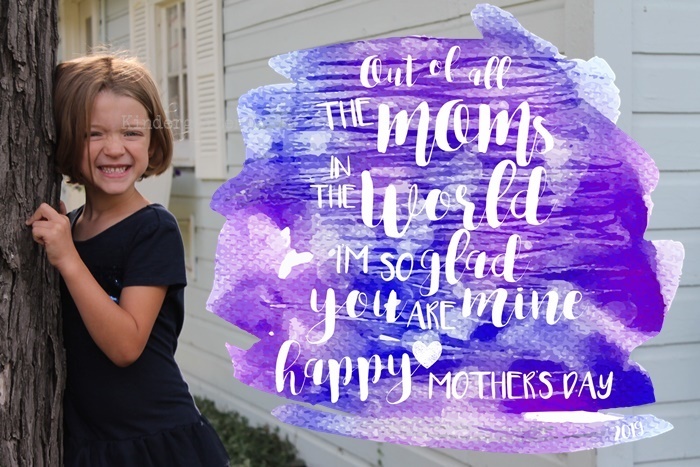 This fresh Mother’s Day photo overlay is fresh and makes for an adorable photo gift. I’ll explain what it is, how to make it and some inexpensive frame ideas to finish it off. If you love this overlay – then you’ll want to get my photo overlays for the entire year. They turn out awesome! 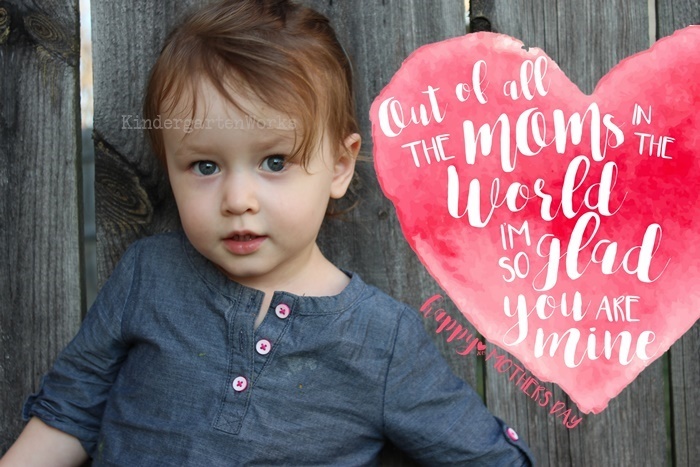 I’ve created a watercolor-looking set of overlays that have a cute saying on them. 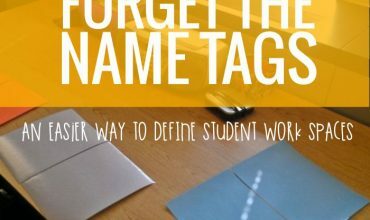 Think of them as a digital sticker that goes right on top of a student’s photo before you print it! They have a transparent background, so you can get creative and put the saying almost anywhere on the photo. I’ve created 5 different versions so you can have your pick. They are updated here for free every year – so be sure to come back next year to download your new, free set. You don’t have to take special pictures just for this occasion. But, it might be fun – or special to do so. You’ll be sure to capture every cute freckle, every wisp of hair and adorableness that each mother knows like the back of her own hand when you take photos like these in good light and up close. Now that you’ve taken photos of each student, you’ll want to use them on your computer. Get them from your phone to your computer in any way that is easiest for you. This might be the *hardest* part – picking which overlay you want to use. Of course, you don’t have to use just one. But I will show you an easy way to create a whole class set of pictures at once. While I’m all about making these cute photos, I don’t think I’d do it if it took me forever and a day to pull it off. So here are three different ways that you can add the overlay on top of your photos. You could also use a program like Google Slides or PowerPoint. This method is handy because you can keep the overlay in the exact same spot while just changing out the student photo background. A little faster and this option is the one I recommend most. And the last option is one I’d choose for myself. It allows you to make all of your pictures at once but feels less straight-forward since it has lots of other options as you’re working that can be confusing at first glance. But, for this option, you can use a free program called PhotoScape to get these pics done. I’ve included a helpful hints page with a link to videos and more detailed directions on any of these three ways to help you get it done easily with the option of your choice! Snag that in your free download. Right, now comes the final part! Print the student photos that you made on any printer you have available to you. Color prints look great of course but these would be sweet even printed in black and white. When you’re ready to finish off the gifts – the final product display is up to you. You can involve your students in the process by having them make a frame. Kindergarten students can make a classic popsicle frame. Tape a frame together and let students decorate with markers or paint and then tape the photo behind. Your students could decorate a dollar store frame if you have that kinda cash. It would also be cute in a heart-shaped paper plate frame. Paint, color, glitter it up. Whatever you want to do. Or you can totally skip the frame and send them home. They will be adorable as is! That’s the beauty in this project. Go as simple as you want. 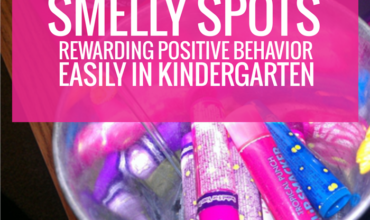 In that case – you’ll want to check out how to get cute student photos all year long with my monthly digital stickers that are awesome. 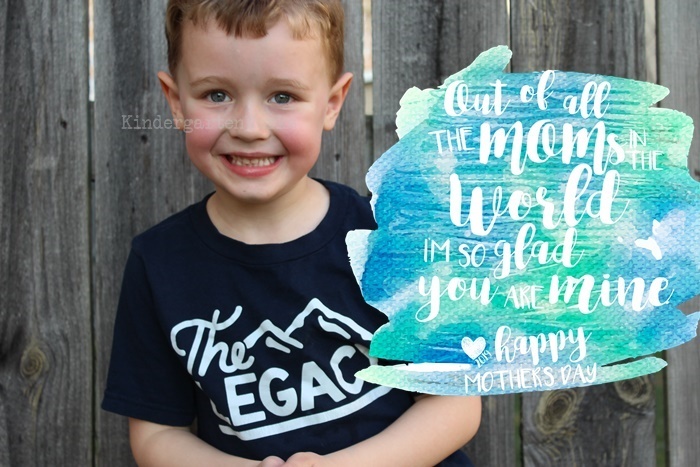 I hope these make many mamas happy and make you a happy teacher for such a quick and simple, yet perfect for kindergarten gift for mother’s day. These will be updated for next year – so be sure to come back to download your new, free set.